Do you have any once in a lifetime moments when performing or practicing? Something similar happened to me once with a prediction effect, where a spectator picks two random cards and you pick a third. Each time you correctly foretell which card will be selected. On this particular occasion, every card turned out to be a King! Which made the “magic” even more astonishing. On another occasion, I was doing a comedy mind-reading bit, where I ask someone in the audience to “send me your thoughts”. If it’s a boy, I get a big laugh by pretending to read their mind and asking, “Who’s Jennifer?” Only this time, the boy’s jaw dropped in shocked disbelief because, as it turned out, he really was mentally sending me that name! I once was practicing at Starbucks in San Francisco with cards and a mat. Homeless guy comes in off the street and walks up to my table. He says " Your a magician, show me a trick! " I told him that I was just practing hoping he would go away. Then he says " let me show you one " and does a great effect after he spit on the floor a couple of times. I know he did the glide to get my card to me and he did it very well. But I was fooled altogether. Then he left the coffee shop. I posted these probabilities on Jason's blog. Thought it might be of interest here. The odds of calling for aces and then cutting to them one by one, or dealing them, are 1 in 270,725. The odds of having a random card e.g. King cut to and then cutting two more kings in a row are 1 in 425. If you call for a particular type of card (kings) and then cut three in a row the odds are 1 in 5525. Jason hope you gave yourself a good price on the rights of that effect..
i was performing behind a booth at a mall and a bus full of basketball players came in, and a bunch of them came to the booth. One of them challenged me to find a card he selected so i forced a card and he started to show it to his buddies, but then he said to me, "No, you made me take this card. Give me the deck." He took a card out and showed it around and put it back in the deck. Then he said, "Now find my card." I went for broke and said, "Okay, it was the seven of hearts." He and his friends laughed and he blurted out that it was the king of diamonds. So while they were laughing, i noticed how lucky i was that the king was near the bottom and i palmed it out to my pocket. I told him his card couldnt be the king of diamonds. He asked, loudly, why not? And i pulled it out my pocket. He and the others laughed and one of his friends said, "He got you!" The guy shook my hand in whatever variation it was then. And as they walked around the mall they told people to go watch the magician. Made me happy that they were so nice. My wife and I perform our Psychic Sideshow at a local haunt in October.. It's in a farm. I went to the restroom in between shows. As I was coming back to the stage area a group of kids were approaching. One spotted me and said, "Hey, EvilDan!!" I replied back and then he asked, "What's my name?" I kid you not, at that moment it was like several voices in my head kept repeating, "Joe. Joe. Joe...." I said "Joe." He stopped dead in his tracks and asked, "How'd you know my name?" I just looked him, then pointed to our banner and said "Psychic Sideshow." Years ago I was doing magic for a guy in my restaurant. He was alone. After the first card trick he said, "You use tricky cards." I looked surprised and he continued, "A while back you performed for my group and after I made a selection, I turned the card around before it went back in the deck. Then you were unable to find it." I had no recollection of this but I assume I must have failed to find his card, validating his theory of a stripper deck. I handed him the cards and said, "You should check these out and shuffle them." He was a bit surprised to find that the stripper theory was not true, at least he knew that these cards were normal." I spread the cards out on the table and asked him to slide one out. As I started to turn away, he flashed the card! It was the four of hearts. YES! To him I was turned around when he chose the card. I told him to put the card back into the deck and shuffle the cards. I had him cut the cards as I claimed, "You're going to cut to your own card." The reason for this boldness was that I had a little gizmo pinned inside my jacket. It was the "Panic Button." I don't know if this is still available, but it's a rectangular red gizmo that says "Panic Button" in white letters. There's a white button in the center. When you push it a flag pops up. The flag says, "FOUR OF HEARTS!" So he cuts and turns over the card. It's not the four. He looks up and says, "You messed up again." I said, "But this time I have my PANIC BUTTON." I open my coat and point at the white button. He pushes it and the flag pops up! FOUR OF HEARTS! Bam! After the dust settles, he reaches out to the packet he cut. He had turned over the face down card of the lower packet. He's about to reassemble the deck when he looks at the face card of the upper packet. IT's the FOUR OF HEARTS! He looks up in disbelief. I smile, shrug and say, "You can keep the cards." I'm performing John Bannon's Discrepancy City Prediction. The Queens of Spades, Clubs, and Diamonds are face down on the table, their identities unknown to the spectators. The Queen of Hearts is still in the deck and will (usually) not be used. I've handed the deck to a spectator to shuffle, and then begin dealing cards to the table. "Stop whenever you get the urge." I tell her. She stops. I reach over, pick up the card she's stopped on, and say, "Okay, are you sure this is the card you want?" Usually this indifferent card will be "disguised" as the Queen of Spades in order to conclude the trick. Her friend, a rather brash and aggressive lass, chimes in, "No! She wants this card." and proceeds to reach over and turn over the top card of the tabled packet. The card she turns over is the Queen of Hearts! Managing to hold onto my composure I a) do not ask if she's sure, and b) nod knowingly and invite her to turn over the three prediction cards. Incredulity ensues. This was years ago. I still perform the effect, and must admit that I am anxiously waiting for the Queen of Hearts to once again appear deus ex machina. When it does I will be better prepared. Thing is, odds are against a repeat... Ah well, "Hope is the thing with feathers, that perches in the soul, and sings the song without the words, and never stops at all." There's still time. These are all great stories! I walked up to a group of guests at a walk-around gig prepared to perform an effect of mine called Quick Change Artist. The setup is the four Aces and the four Jacks on top of the deck and the suit order is memorized for this particular routine. When I walked up to the group, this loud obnoxious man shouted, "I'll give you $100 if you can make me pick the Jack of Clubs!" His friends looked at me like, "Well, go ahead magic boy..."
I graciously accepted the tip. When I was about a year into doing magic at a more serious level, I was very into this sort of David Berglas/Chan Canasta type stuff. All these sort of little methodologies to basically try and engineer little moments like this. I'd do any card any number with a genuinely borrowed and shuffled deck, with no idea of the card or the number when dealing down. I think I did it 6 times and 'hit' all 6 times (although my definition of hit may be different from yours). I would sneak around the house and look for people's decks of cards, reverse one in the packet, then hint at using a borrowed deck then have someone name a card, etc... even though the odds are 1 in 52, you hit (at least I did) way more often than that. People don't name the 52 cards in equal amounts. In my experience the 7's are the most popular spot card named, then the 10's. 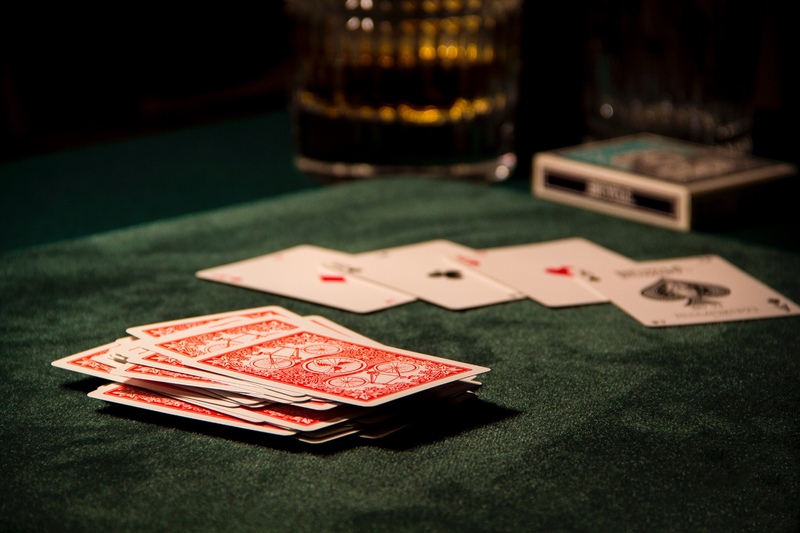 Aces, Queens, and Kings get named a lot, Jacks, eights, and nine's almost never. You get to learn all these sort of stupid small things that add up to creating miracles. After a while I stopped, although it was fun I began to get interested in other things. Recently, after seeing Joe Barry, and working on more of the Spanish school stuff, I've sort of started going back to it? For example I did a trick for a bride and groom where I had them find the aces. I produced the first two, classic forced the third, then timing forced the last one. I hit the timing force, but I asked him (almost automatically), which card he wanted. I told him he could have the card on top of the packet in my hand, or the table, or any card at all. He went for the force card. I just shrugged and said, let's see what happens. Just adding all these chaos moments, and moments for the spectator to create what I like to think of as a 'controlled chaos', I think really heightens the experience, and it sort of brings them in more into the tricks. I used to belong to an IBM ring in NJ. Our president arranged for the club to teach a magic class at a local school during their summer camp and we'd take turns teaching the class. I got to teach sponge balls. So I taught a routine that used a Jack and Jill went up the hill storyline and the tiniest, youngest girl turned out to be the best at it during practice. At the end everyone got to perform in front of the group. This little girl gets up and starts performing. I'm watching the routine and it turns out she missed one sleight that would have had both balls appear in her hand for the finale. Ugh. So I'm running through my head how I'm going to smooth this over when she opens her hand and both balls are there. The kid fooled me, with sleights and a routine that I taught her an hour or so ago. It was a great moment. face up and it was the 8 of clubs.